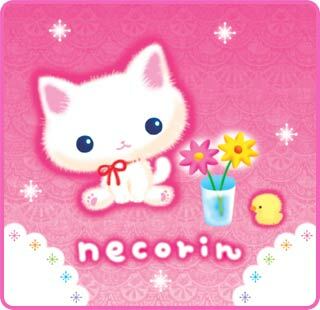 Necorin is a fluffy pure white kitten. She wears her favorite red ribbon around her neck. She spends everyday leisurely, enjoying milk and afternoon naps. She plays, full of energy, with her friends, Mocha and Pudding! 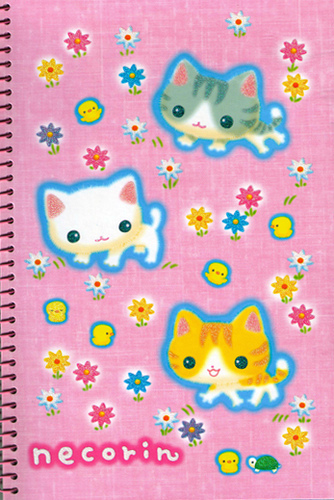 These goods come in the sparkly prints with a fashionable purpose that everyone loves! This series features “Pudding” and “Mocha” of the kittens family. These kitties love mischief, and follows their daily habits of climbing the curtains, ringing the wind chimes, and drinking the water from the goldfish bowl. Necorin is a sheltered girl2 who receives ample affection from her father. She has a meek and kind personality. She spends her days without any troubles, but when Purin and Moca come around...She’s a pedigree girl from a good family line. Purin is Moca’s younger sister. She loves naps, eating, and mischief. She has a jovial personality. She doesn’t get along well with crows, so she certainly has a cowardly side as well. Lately, it looks like she’s been gaining weight, and can’t jump as well. Moca is an inquisitive boy. He sets out to explore anything he has an interest in. He has a simple personality. He loves to have races to the top of high places. He hates baths. He was originally a stray, but the next door elderly lady found him and brought him home. These birdies are nimble and quick. Pudding and Mocha are always trying to aim for them, but the birdies are one step ahead. They’re very good friends with Necorin, easily perching on her head. Kamekun lives in the garden pond. We don’t know how old he is, doing things at his own pace. He is wise and understanding, and acts as Necorin’s good advisor. When you wind him up, he cheeps as he runs around. He was broken by Pudding and Mocha, but the husband of the family fixed him up. He’s Necorin’s favorite toy. 1. Similar to "kun," "rin" is another suffix for names. 2. 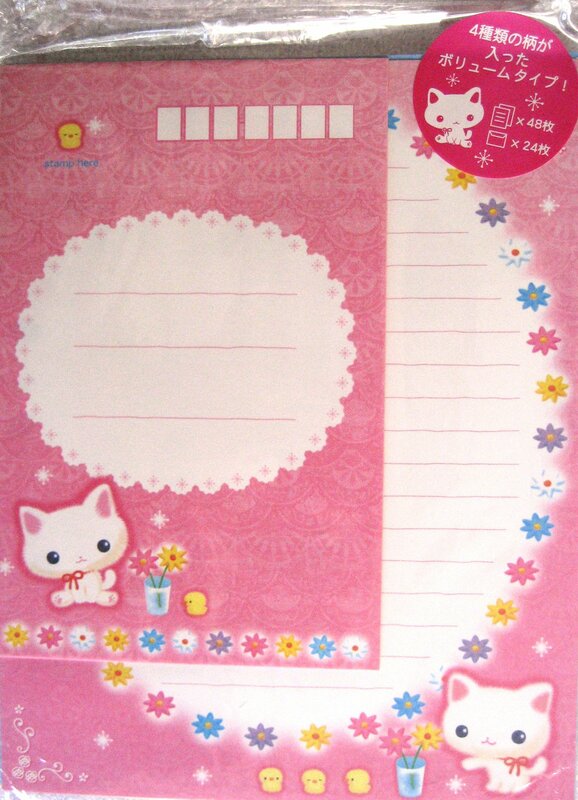 箱入り娘 literally means “girl inside of a box" meaning a sheltered girl.